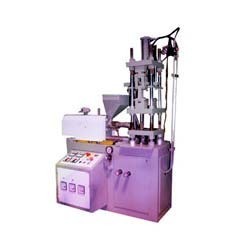 Clients can avail from us an advanced variety of Insert Molding Machines that are reputed for sturdy construction, efficient performance and durability. We offer the range in multiple specifications. Further to address the specific requirements of our clients, we also offer customization facility. Our range s cost effective and timely delivered. We offer Automatic Screw Type Vertical Plastic Injection Molding Machine. Its injection unit is geometricalliy designed gas nitrided screw for high plasticizing capacities. The Injection Unit Carriage moves automatically for sprue breaking melt decompression before or after plasticising acurate temprature control with high and low setting of all zones with indication. 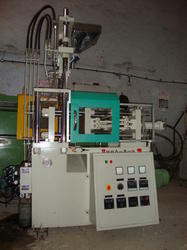 We are engaged in offering Screw Type Insert Molding Machines to our clients.